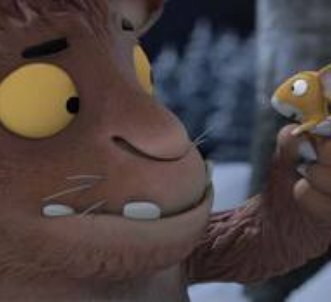 Although I enjoy picturebooks, I have not read The Gruffalo’s Child so, over Christmas, I did exactly what I advise my pupils not to do and watched the televised adaptation. Displaying my teacherly inability to switch off, as I watched I was struck by the character of the Gruffalo’s child as she displays many elements of the learning dispositions which Guy Claxton has identified as part of his Building Learning Power (BLP) programme. I understand the core values of BLP as being to encourage students’ lifelong learning habits and to make them independent learners who are not reliant on their teachers. To do this, Claxton has identified the four learning dispositions, or characteristics, which students need to be able to demonstrate. These are resilience, resourcefulness, reflection and reciprocity, and the Gruffalo’s child is an exemplary exponent of many of these. In terms of her resilience, or emotional engagement, she notices details, spotting and following the animals’ trails, and is wholly absorbed in the task. Most importantly, she shows her perseverance as, despite set backs when she nearly drowns, has uncomfortable encounters with the snake, owl and fox, and is lied to by the mouse, she persists with her search for the Big Bad Mouse. Her resourcefulness, or cognitive range, is seen in her question asking throughout the story, and the use of her imagination when drawing the image of the mouse. More advanced resourcefulness is shown by her making links between the trails of the animals and the search for her goal, and her reasoning as she uses her logic to deduce how each animal could be the Big Bad Mouse. One of the characteristics of a successful learner which I stress as most important to my pupils is that of reflection and again the Gruffalo’s child is a good role model. She shows her ability to plan through her escape, and the revision of her ideas as she encounters the snake, owl and fox, and the distillation of her ideas through her identification of key details of each animal she meets. The final learning disposition, reciprocity, is one which develops with age as pupils become less egocentric, and it is the area in which the Gruffalo’s child is weakest. Nevertheless, she does collaborate with the mouse (even though it is to her disadvantage), and she does listen attentively to the Gruffalo’s story and to the mouse’s ideas. Adults, and especially teachers and parents, will recognise the importance of Claxton’s learning dispositions to a child’s development but, just as the Grufflo tries to protect their child, having the confidence to allow and encourage active and student-directed learning is sometimes a difficult boundary to overstep. It is, however, one which adults need to have the confidence to overstep for those in their care. Interestingly, these positive characteristics often seem to disappear as pupils move into secondary school and become more self-conscious, and it is at this age that teachers need to be explicitly encouraging children to use a wider range of learning techniques. Yes, the Gruffalo’s child is ultimately terrified by her encounter, but having a daughter who is able to get things wrong and learn from testing her ideas and theories should make the Gruffalo very proud. Parents and teachers could do worse than to look at the Gruffalo’s child and think how they could make their children and pupils more like her.